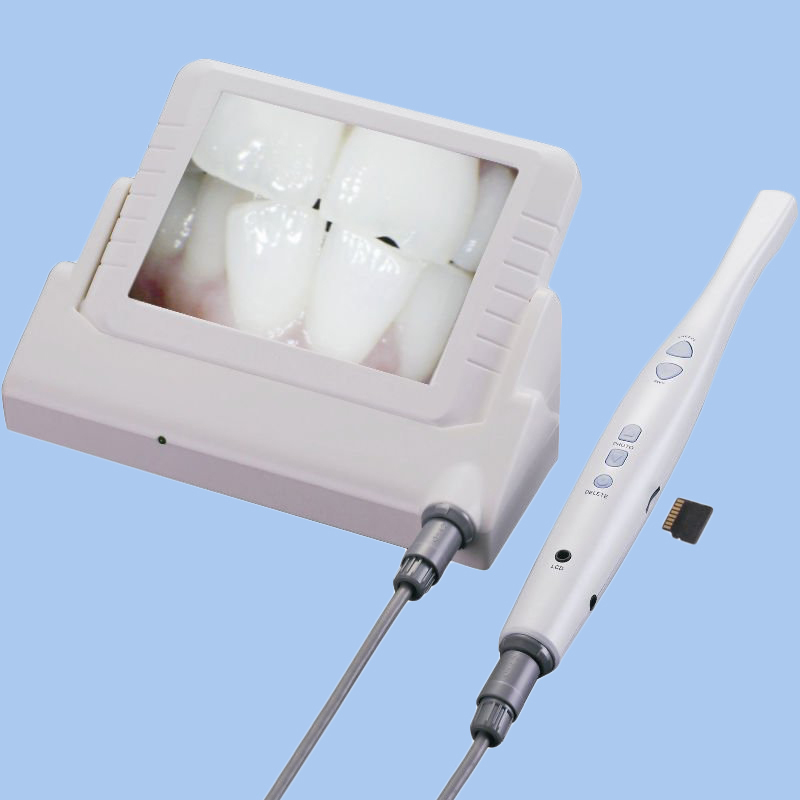 1.CCD Intraoral camera and 8 inch LCD integrated. 2.Adjusts brightness, contrast and color in LCD freely. 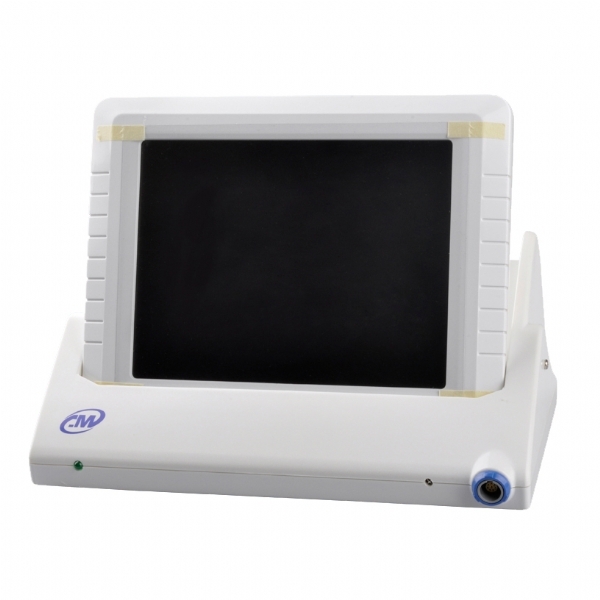 3.Flexible LCD can be 45 degree adjustment. 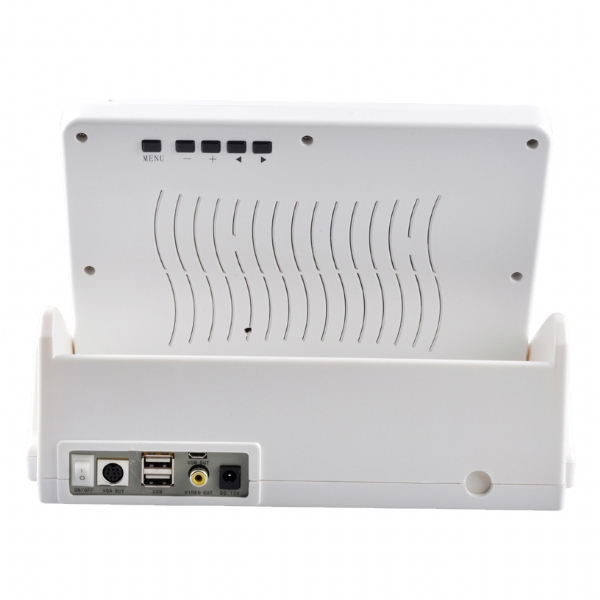 4.2.0 USB and video output function. 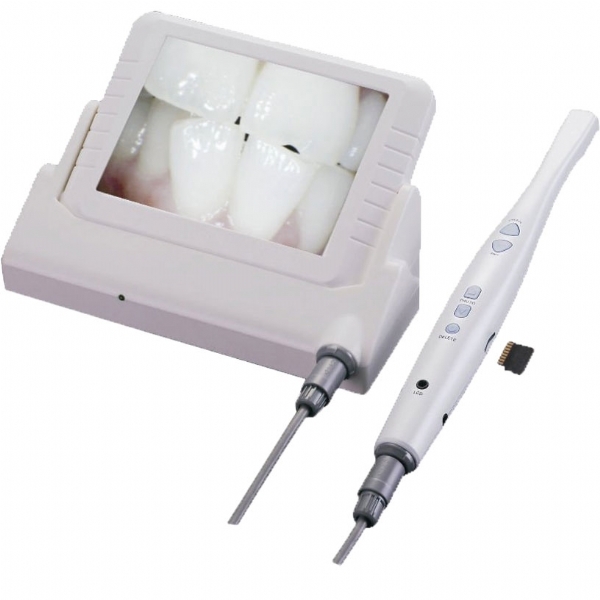 5.Collocate with high quality intraoral camera. 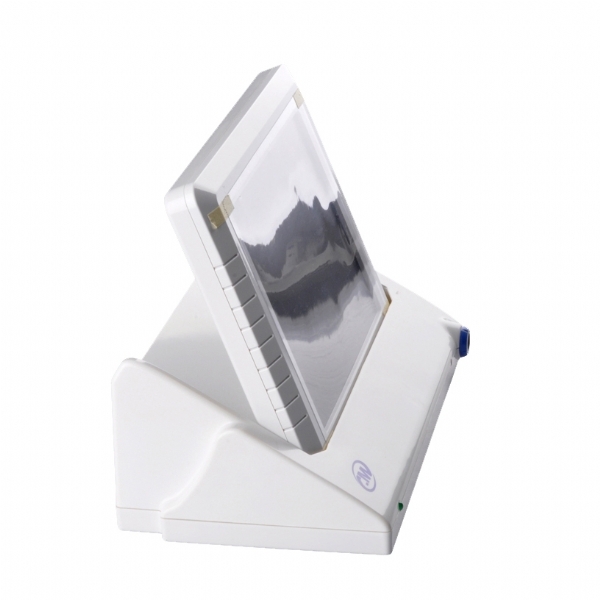 7.High resolution, cute size, and it is easy to operate.